A new bill introduced today by Congresswoman Maxine Waters (D-CA) aims to make sweeping changes to the Fair Credit Reporting Act (FCRA). In a news release, she noted that credit reports have become far too important to contain widespread errors and inaccuracies, given the fact that they’re used to extend mortgages and homeowners insurance, and even determine whether someone is hired or not. The proposal, known as the “Fair Credit Reporting Improvement Act of 2014,” could have major implications for former and prospective homeowners alike. For one, it would require the credit reporting agencies to remove any adverse information related to mortgage loans that were later found to be deceptive, abusive, fraudulent, illegal, or unfair. That’s a pretty broad definition, but I’m assuming there are plenty of borrowers out there with checkered credit histories thanks to bad loans they probably should have never wound up with. So if a borrower had their property foreclosed on thanks to a predatory lender, they could get that nasty foreclosure mark off their credit report. 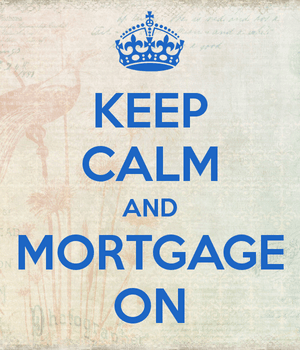 And ideally the late payments leading up to the foreclosure (or short sale) as well. This would greatly improve the credit scores of countless borrowers and make them eligible for a subsequent mortgage a whole lot sooner. Sure, some borrowers might have been granted relief from lenders, but if their credit report is still full of delinquencies, their chances of getting another mortgage are low to nil. Foreclosure Falls Off a Credit Report After Just Four Years? Waters’ bill would also shorten the amount of time negative information remains on credit reports by reducing such periods by three years. She noted that the predictive value of most negative information on credit reports diminishes after just two years, yet remains for as long as seven or 10 years. In places like Sweden and Germany, max reporting periods are three and four years, respectively. As it stands now, foreclosures remain on credit reports for seven years. So if I’m interpreting her new bill correctly, a foreclosure will drop off a credit report after just four years. The waiting period to buy a home after foreclosure also happens to be seven years, so it’s unclear what effect this legislation would have if foreclosure information couldn’t be accessed after four years. Additionally, lenders may not be comfortable extending new home loans to previously foreclosed borrowers so soon, which could create a bit of headwind for this legislation. Her bill would also remove adverse information related to fully paid or settled debt, including medical collections, which is consistent with the latest FICO and VantageScore models. That could potentially make it easier to qualify for a mortgage seeing that applicants’ credit scores would likely be higher. Speaking of scoring models, Waters also wants the FHFA to consider alternative credit score products that determine eligibility for Fannie Mae and Freddie Mac loans. At the moment, it’s all about FICO. Perhaps VantageScore could eventually be used in the mortgage industry as well. There’s a lot more to the bill, which is basically a complete overhaul of the antiquated FCRA that can be read here. Among other things, it prohibits the use of disputed information in credit reports and scores, lengthens the mortgage shopping window to 120 days (for it to count as just a single credit inquiry), and restricts the practice of using credit reports to screen job applicants. Additionally, it would limit the cost of a credit score to $10, indexed for inflation, and require the credit reporting agencies to provide free annual credit scores, not just free credit reports. Obviously it sounds super ambitious, so the chances of it passing might be slim. But a pared down version could potentially pass. Stay tuned.